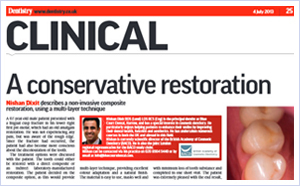 Dr Nishan Dixit is the founder and principal dentist of Blue Court Dental. Patients enjoy his relaxed, friendly and gentle approach while experiencing his meticulous attention to detail. He has a special interest in providing smile makeovers, natural-looking white fillings and cosmetic braces, but also provides a range of treatments from preventative and general dental care to complex dental rehabilitation. It is important for him to provide care in a calm and unhurried manner, taking the time to make even the most nervous patients feel at ease and informed about any procedures they need. Working with his dedicated team, he is proud to offer reliable long-lasting results that patients can trust. He opened Blue Court Dental to patients in April 2000 after qualifying from Guys (London) in 1994 and working as an associate dentist in North West London for six years. Since opening, the practice has tripled the capacity to treat patients. Patients come from all across the country and even overseas to experience the outstanding treatment that Dr Dixit provides, and his record speaks for itself as many patients have been under his care for over 20 years. Building long-lasting relationships with patients is at the heart of Dr Dixit's dentistry. 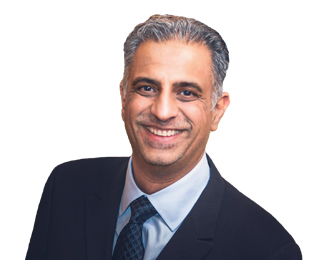 When he's not treating patients, Dr Dixit stays dedicated to remaining at the forefront of cosmetic dentistry by regularly attending both UK and international conferences, learning from leading professionals and keeping his knowledge completely up-to-date. He is also an active member of a number of dental organisations and associations, one of which is the British Academy of Cosmetic Dentistry (BACD), for which he is currently the President Elect and Director of Education. Board membership of the BACD is recognition of the time and dedication Dr Dixit puts into the field of cosmetic dentistry. 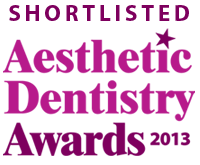 He welcomes referrals from other dentists for advanced cosmetic dentistry treatments and his level of excellence in cosmetic dentistry has granted him nominations for the Smile Awards in 2012, 2013 and 2014. Dr Dixit has a life-long love of North West London, having grown up and always resided in the area. He loves to spend time with his family, and when he is not at the practice or expanding his professional knowledge, he likes to relax by playing and watching cricket, football and golf. I am normally terrified of coming to the dentist for any treatment, but since having my consultation with Dr Dixit, I have felt at ease and have found all my treatments very relaxing. I now have an amazing smile to be proud of. Dr Dixit and all the staff at this surgery are so kind and professional. I had a complete phobia of dentists when I first visited Nishan as a patient in 1997! He has always been such a calming and friendly dentist. He is very professional and skillful that I followed him to this practice.